The North Carolina Epilepsy Alternative Treatment Act, which was originally passed in 2014 then amended in 2015, allows qualified patients with intractable epilepsy from to use and posses hemp extracts that contain at least 5% CBD (cannabidiol) and less than 0.9% THC (tetrahydrocannabinol). The recommending physician must be affiliated with a North Carolina hospital. 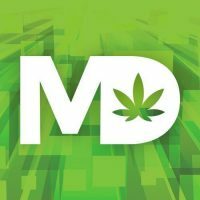 North Carolina’s low THC oil law does not allow the in-state production of CBD extracts and specifically states that neurologists must approve the CBD oil as being “hemp extract acquired from another jurisdiction” which means that patients can only obtain low THC oil from dispensaries in states that offer reciprocity with other states.